Kerry J. Ridgway, DVM was a US based “Integrative Medicine” specialized veterinarian, competitor, author, judge, and instructor who lectured around the world teaching veterinarians, trainers, and riders about issues that compromise equine health such as laterality, high and low heel syndrome and ulcers. Dr. Ridgway’s “whole horse health” approach marries conventional medicine and alternative treatment modalities such as acupuncture, chiropractic, hoof care, saddle fit, kinesiology, neuromuscular and myofascial therapies, as well as dental health and nutrition. Most recently Dr. Ridgway had contributed a chapter to Pete Ramey’s new book “Care and Rehabilitation of the Equine Foot,” and studied for the last several years in the USA and Germany with Klaus Schoneich, author of “Straightening the Crooked Horse: Correct Imbalance, Relieve Strain, and Encourage Free Movement with an Innovative System of Straightness Training.” In 1990, Dr. Ridgway was elected to the Endurance Hall of Fame for his contributions to the sport, and for his development of the “Cardiac Recovery Index,” a standard adopted internationally. He became the first approved FEI Judge when the sport of endurance riding was officially recognized as a discipline by the FEI. Dr. Ridgway was also a founding member of the “International Association for Equine Sports Medicine,” and served many years as the chairman of the American Veterinarian Advisory Committee for the American Endurance Ride Conference. Dr. Ridgway is also the author of two DVDs on Saddle Fitting and Ulcer identification and treatment through acupressure. 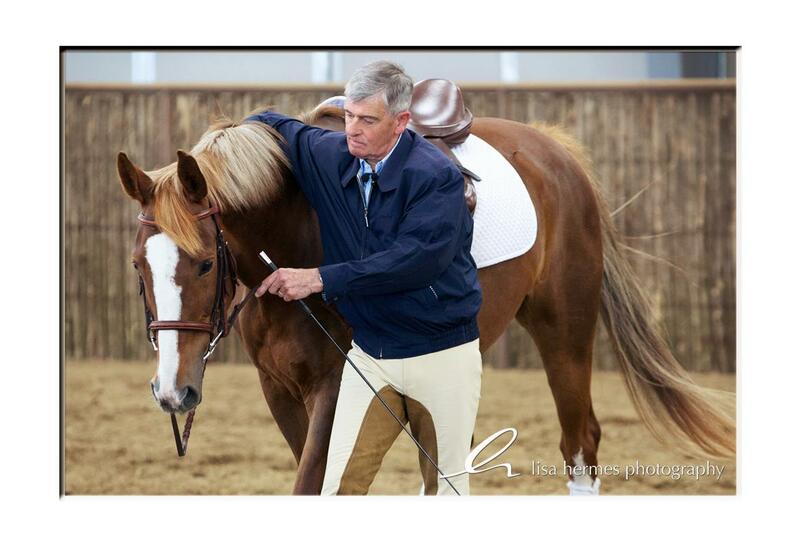 Colonel Carde Christian Carde demonstrating in-hand work with one the symposium’s horses. Born in 1939, Colonel Christian Carde’s early riding experiences as a 13-year-old boy in the French town of Bordeaux first led to first led to him to showjumping and eventing. From Bordeaux to the wider world, Colonel Carde has distinguished himself as a uniquely expert horseman, trainer and advocate for the horse. An Ecuyer at the Cadre Noir of Saumur for twenty years, he became Ecuyer en Chef from 1991 to his retirement in 1999. He was on the French Dressage Team at the 1980 Moscow Games and was selected to become France’s National Dressage Coach from 1985 to 1989. Dedicated to the teaching of ethical horsemanship, Colonel Carde possesses a clear and logical methodology for developing calm, forward, balanced and straight horses. Equally adept at ridden and in-hand work, he uses humane and respectful methods that instill confidence in horses and progresses them towards collection while protecting and enhancing their physical and mental well-being. An FEI International Judge, Col. Carde is passionate about horse welfare and has written extensively about the state of dressage today and the FEI dressage rules. Article 401 in particular. He is the founder of the French association Allege-Ideal (Association pour La Légèreté en Equitation) the International Dressage & Equitation Association for Lightness. Colonel Christian Carde now dedicates his time to giving clinics internationally. He also offers his personalized training services online in English or in French at Dressage Training Online and at Competences Equestres. At 18, Manolo Mendez was one of six founding members of the Royal Andalusian School of Equestrian Art and its very first Head Rider, working closely with School Director Don Domecq. Based in Jerez, Spain, the school is one of the four classical schools of riding, which include the Cadre Noir in Saumur, the Spanish Riding School in Vienna and the Portuguese School of Equestrian Art in Lisbon. 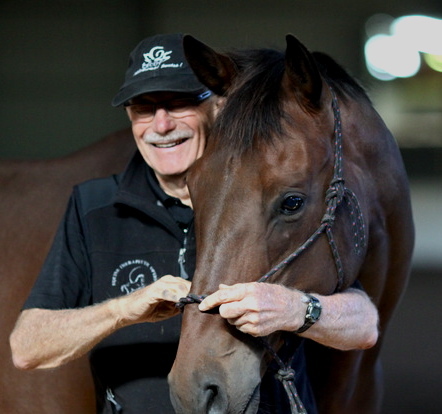 An expert horseman with over forty five years of experience spanning classical dressage, Doma Vaquera and jumping, Manolo Mendez is considered one of the world’s leading expert on piaffe, passage and pirouettes. However, it is not this facility with the 3Ps that truly sets Manolo apart but his ability to rehabilitate horses. Always a considerate rider and trainer, Manolo became increasingly passionate about the intersection of equine soundness, wellbeing, welfare and training in the early seventies and began experimenting with bodywork, in-hand and riding to develop, enhance or repair the horses that were entrusted to him. To this day, Manolo uses his custom three prong approach daily. He will dismount and use in-hand or bodywork to unblock a horse or facilitate its learning. His work is characterized by an ability to inspire trust and confidence in horses, feel and create spinal alignment – including under saddle – and create and restore rhythm, balance and straightness. One could say Manolo works within what Dr. Bennett calls “the envelop of release” and what Dr. Denoix speaks off when he notes the relationship between muscular tonus and emotional equilibrium. “The horse’s muscles provide the earliest indications of anxiety. Muscular tonus is closely involved with variations in its psychological state. In all his work, Manolo is dedicated to a soft, sympathetic and thorough training method, which prepares horses physically and psychologically for each stage of training, from Training Level to Grand Prix. He uses the same approach while working with horses from every discipline including western, jumping, eventing, working equitation, hacking and even…driving. Over the years, Manolo has become sought after by riders, veterinarians, chiropractors and other equine wellness practitioners for his holistic approach to training, developing and rehabbing horses, which incorporates his unique brand of bodywork, in-hand work and riding.